Is there a Real Dr Doolittle? Yes, there is! Welcome to our Show on Talking to the Animals! 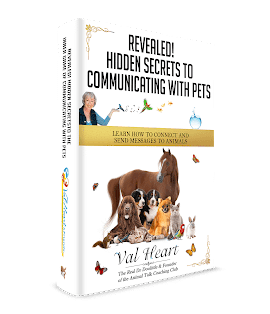 I want to teach you what I know so you can learn how to talk to your animals, why it’s important to hear your animals viewpoints and how reconnecting with animals makes you a better human. Reconnecting with animals helps us be better humans, and is an exciting journey into Self, the nature and reality of our world, a behind-the-scenes look at the complex interactions between us all. Any animal lover can learn how to communicate with animals, you can too! Jenny Smedley, bestselling author, celebrity, and columnist, has had an empathy with animals since she was two years old. 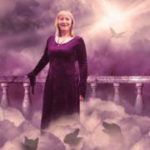 She has written many books, and has two best-sellers on the topic of pet souls for Hay House – Pets Have Souls Too, and Pets Are Forever. Her newest, My Dog Diary 2013, and My Cat Diary 2013. She has appeared on many radio and TV shows, both in the UK, USA, Ireland and Australia. Her most recent guest appearance was on the Richard Bacon Show on Five Live. She has been featured too many times to list, in print media, from the USA to Australia, New Zealand, Tasmania, the UK, Ireland, South Africa, and China. Jenny lives with her husband of 40 years, Tony, and their reincarnated dog, KC, in The Blackdown Hills area of the beautiful county of Somerset in England. * What is your earliest memory of communicating with an animal? * Why do you believe animals have souls? * What special pets have you owned? * You say in Pets Have Souls Too that you have a dog that has reincarnated – how do you know? Contact Jenny to tell her your amazing animal stories, so that she can immortalize you in future books. Start helping animals throughout the world to be understood and valued, and treated with respect and kindness. Get involved. All it takes for evil to happen is for good men to do nothing.